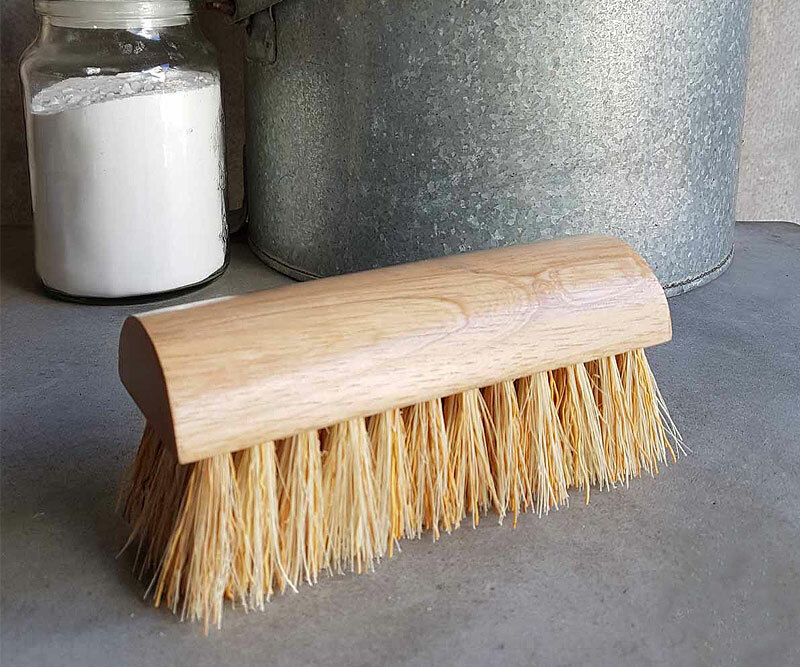 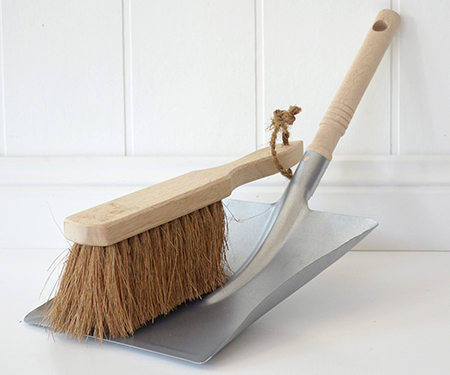 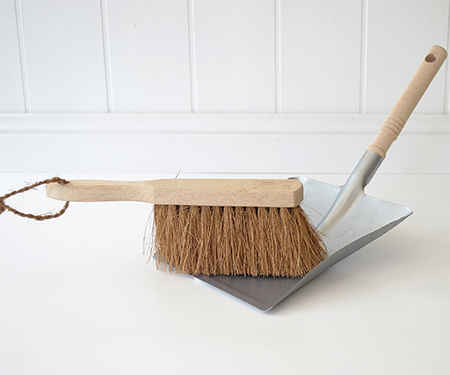 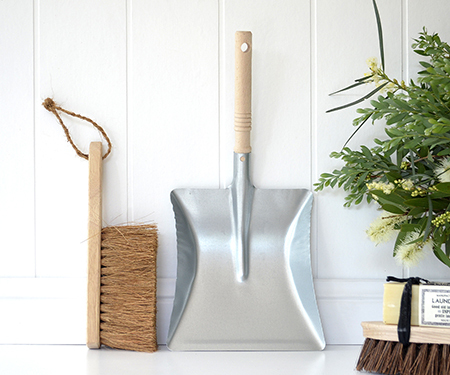 This galvanised dustpan measures approx 44cm long and comes a great natural coconut fibre dust brush with rubberwood handle (a waste product from rubber production). 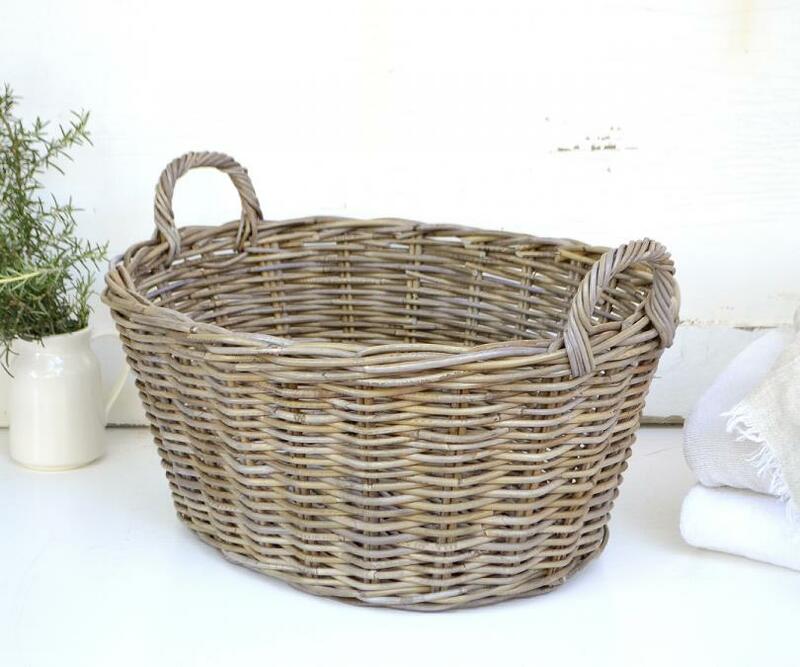 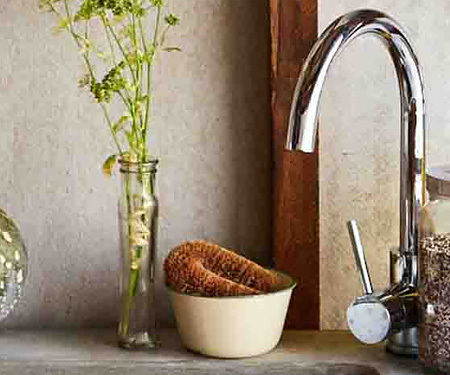 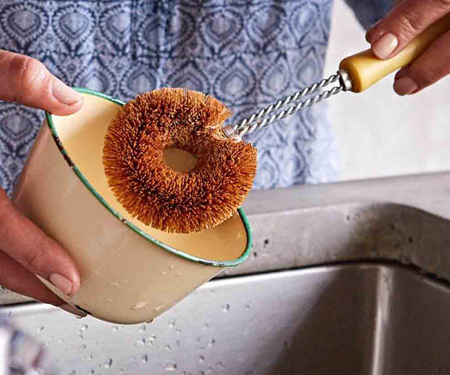 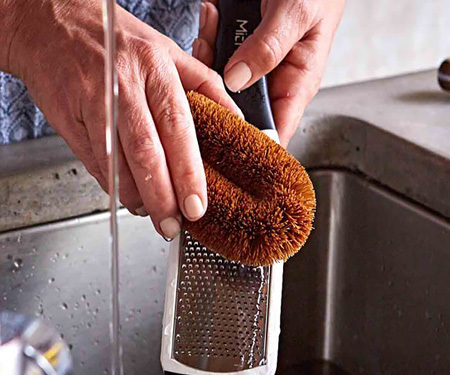 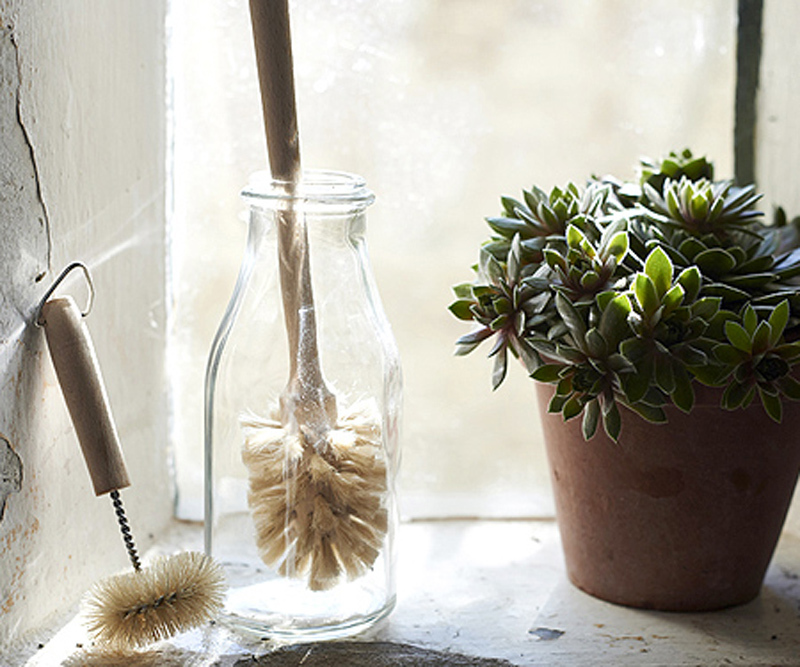 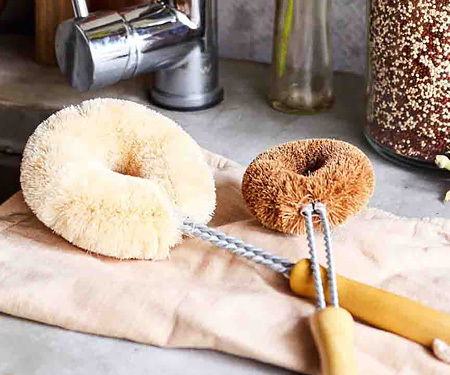 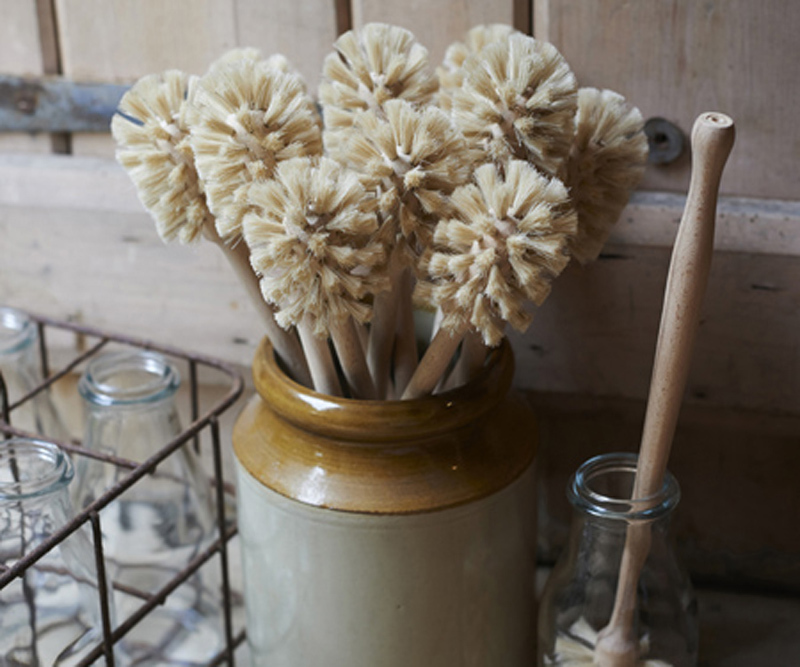 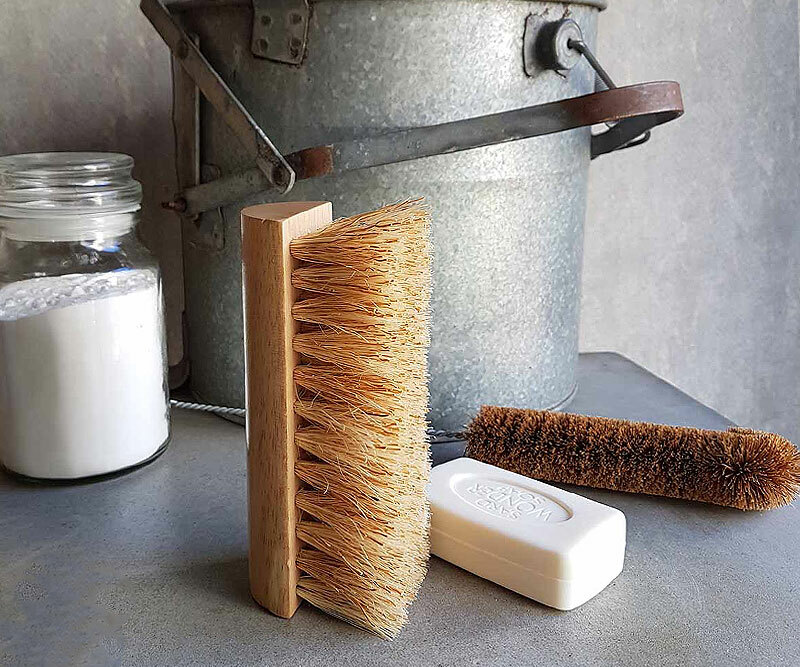 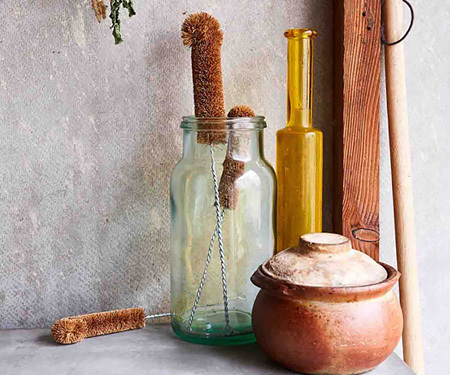 The natural plant bristles sweep and don't flick the dust, won't ball on the ends and are easy to wash. 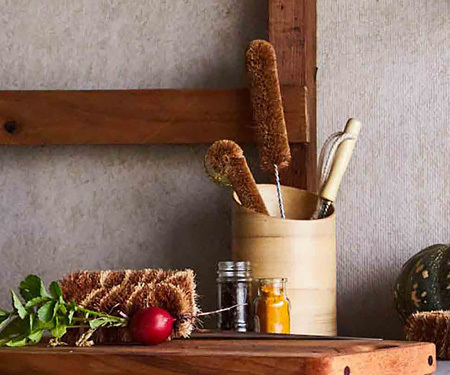 The fibres won't melt with hot coals so is great for fireplaces. 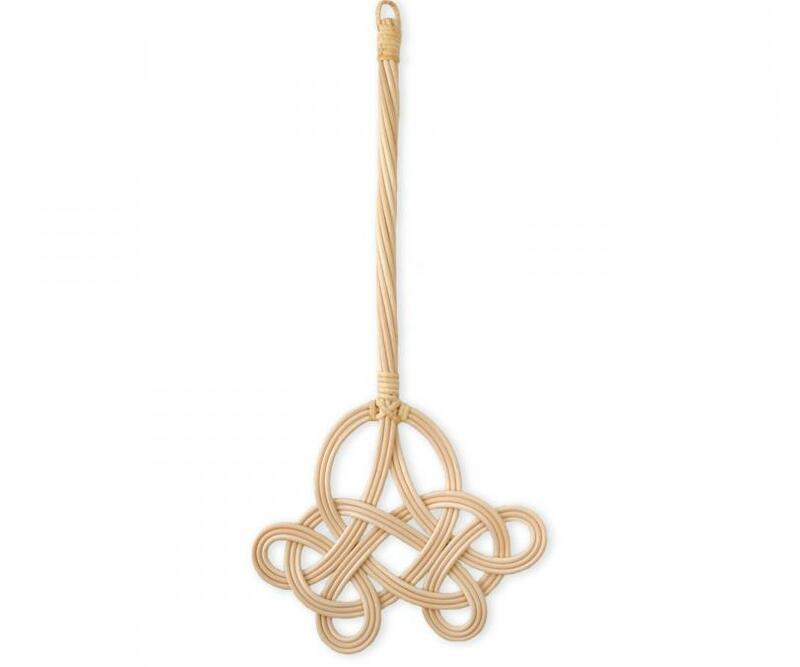 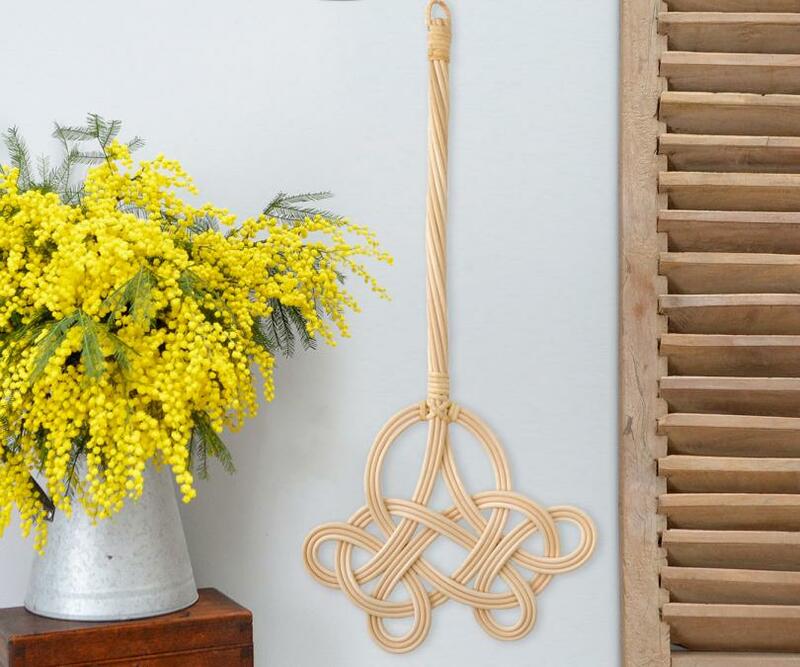 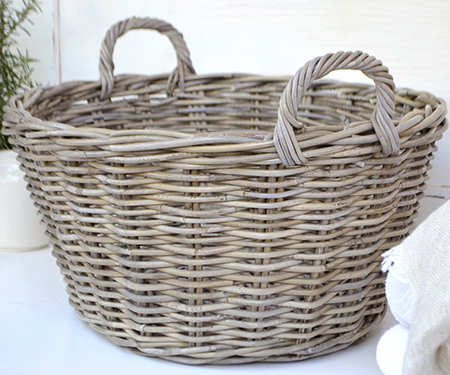 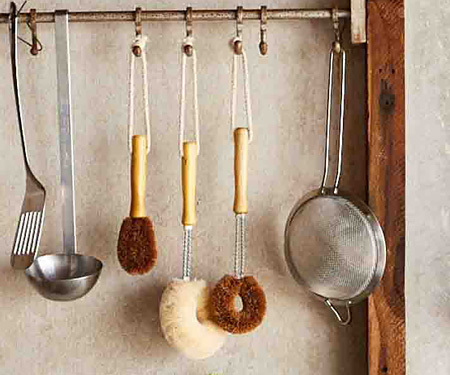 Simply wash with a mild soap and hang to dry in the sun.